As part of the exhibition For Freedoms: Make America Great Again, the University of Louisville's Hite Art Institute presents a round-table conversation exploring the First Amendment, Corporate Personhood, and Citizens United using the billboard as a catalyst for discussion. The panelists will be responding to questions submitted online throughout the event, submit yours in advance here! 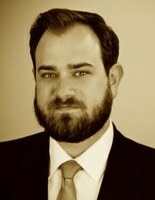 Donald L. Cox's practice centers primarily on commercial litigation, with an emphasis on intellectual property. 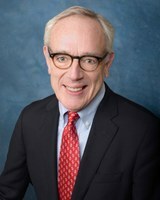 Mr. Cox has been a patent attorney since 1970 and has previously served as an Assistant General Counsel at HUD and as Deputy General Counsel for the Merit Systems Protection Board, both in Washington, D.C. Mr. Cox has practiced at Lynch Cox since 1980, where he successfully argued Shapero v. the Kentucky Bar Association before the United States Supreme Court in 1988. Mr. Cox has also argued and tried cases in numerous courts around the country including in Washington DC, Miami, Fort Lauderdale, Tampa, Houston, Minneapolis, St. Louis, Los Angeles, Nashville, New York, Albany, Indianapolis, Chicago, Cincinnati, and Seattle. For several years, Mr. Cox served as the Chair of the Jefferson County Housing Authority, was a member of the Board of Directors of MSD, and served as Chair of the Kentucky Registry of Election Finance. Dr. Laura Moyer received her Ph.D in political science from the University of Georgia. Her research is broadly focused on law and courts. She teaches undergraduate courses on constitutional law and judicial politics, as well graduate courses on American politics. Dr. Moyer co-authored "Diversity Matters: Judicial Policy Making in the U.S. Courts of Appeals" (2015, University of Virginia Press). She was recently the recipient of a National Science Foundation grant to study the impact of President Obama's judicial nominees to the federal appeals courts. Miles Devon Skeens is a third year law student at the University of Louisville. He holds a Master's in Secondary Education from The Johns Hopkins University and a Bachelor's in Political Science from Northern Kentucky University. Before law school, Mr. Skeens was a member of the prestigious Teach For America program, which places highly qualified teachers in traditionally underserved school systems. Mr. Skeens taught high school U.S History and American Government in Baltimore City, Maryland. Since coming to the University of Louisville, Mr. Skeens has done work with the Kentucky Innocence Project, assisting those who have been wrongfully convicted in securing their release. He was also one of three law students chosen from a nationwide search to serve as summer law clerks with the New York City Office of the Appellate Defender, where he assisted in the appeals of those who have been criminally convicted in New York City courts. He was asked to return to New York in January of 2018 to argue one of his briefs before a five judge panel in the Appellate Division of the New York Supreme Court. Mr. Skeens has recently been hired as a staff attorney with the Appalachian Research and Defense Fund, where he will begin upon graduation.